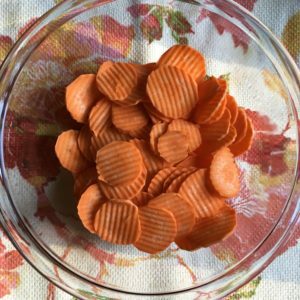 Sweet potato fries are SO delicious, but the restaurant ones we all love and adore are just packed with oil and salt and things we probably don’t want to eat regularly. 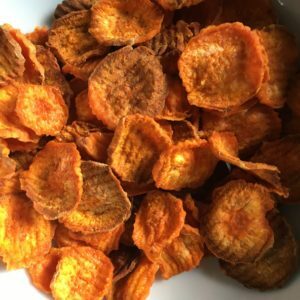 Baking sweet potato chips (chips, like american chips, not fries) at home is a great way to enjoy the sweet and crispy taste of sweet potatoes without the guilt. 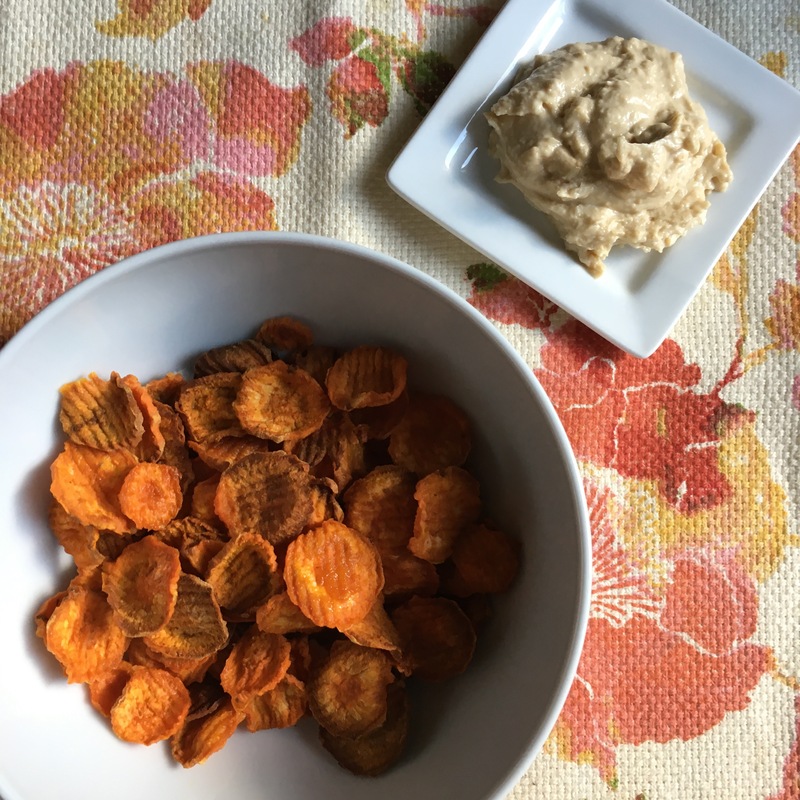 They’re great by themselves or to dip and only require a few easy steps. Toss with olive oil, salt, and cayenne. Bake in a preheated 275 oven for 1.5 hours. Toss once at the 45 minute mark and if your oven runs hot, reduce the temperature. The longer and lower you bake these, the crispier they will come out. Think “low and slow” and you’ll be all good! Serve with a dip of your choice (I went with hummus and tatziki dips- recipes attached) and enjoy!